Portland, Ore. • June 30, 2018 — Over 3,200 homebrewers and beer enthusiasts gathered at the 40th Annual Homebrew Con presented by the American Homebrewers Association® (AHA) this weekend at the Oregon Convention Center, where they attended seminars, bonded over brews and had their beers judged in the world’s largest beer competition. On June 28, Homebrew Con’s opening day, the U.S. Senate, led by Senators Ben Cardin (D-MD), Susan Collins (R-ME), Ron Wyden (D-OR), Cory Gardner (R-CO), and Michael Bennet (D-CO) passed a resolution honoring the 40th year of the AHA and its founder, Charlie Papazian, who was the conference’s keynote speaker. Since 1979, the AHA National Homebrew Competition has recognized the most outstanding homemade beer, mead and cider produced by homebrewers worldwide each year. This year’s submissions included 8,405 entries from 3,517 homebrewers located in 50 states, Washington, D.C., and 18 countries. Over its 40-year history, the National Homebrew Competition has evaluated 143,240 brews. The first competition, held in 1979 in Boulder, Colo., judged 34 beers. This year’s winners include Michael Rogers of Wichita, Kan., who earned the Homebrewer of the Year Award; Nathan Williams of Somerville, Mass., who won the Cidermaker of the Year Award; and Michael Wilcox of Wichita, Kan., who received the Meadmaker of the Year Award. QUAFF (Quality Ale and Fermentation Fraternity), based in San Diego, Calif., won the NHC Homebrew Club award; and North Seattle Homebrew Club based in Seattle, Wash., won the Gambrinus Club Award; while Greg Young of Roseville, Calif., won the Samuel Adams Ninkasi Award, for accumulating the most wins in the competition. 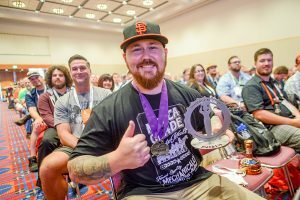 A complete list of winners of the 2018 National Homebrew Competition can be found here. “This has been a milestone year for the American Homebrewers Association. It’s inspiring to see such a great turnout at this year’s conference, and to see such a strong comradery and passion among homebrewers who have traveled far and wide to celebrate their love of homebrewing,” said Gary Glass, director, American Homebrewers Association. 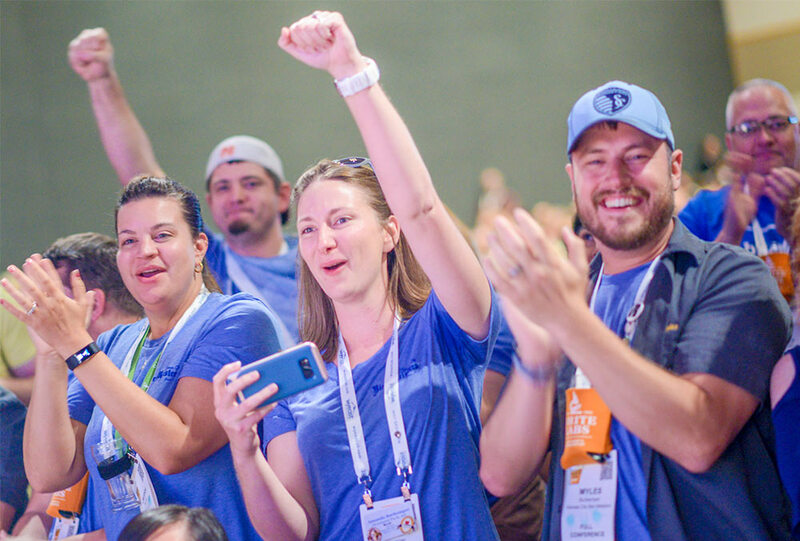 In addition to the competition, the conference provided attendees the opportunity to enhance their brewing skills and homebrew knowledge through over 60 seminars focused on beer styles, the brewing process, ingredients, recipe formulation, sensory analysis, and yeast & formation. Conference-goers also enjoyed a series of events where they sampled each other’s brews and commercial craft beers. The Homebrew Expo & Social Club and Club Night were opportunities for participants to try beers and meads from homebrew clubs and breweries across the country, while making new brew-savvy friends. In 2019, Homebrew Con will be held June 27-29 for the first time since 1993 in the New England area in Providence, Rhode Island. The American Homebrewers Association (AHA) has worked on behalf of the homebrewing community since 1978 and celebrates a membership of 46,000 homebrewers. The American Homebrewers Association organizes events including Homebrew Con™ and the National Homebrew Competition. The AHA also publishes Zymurgy® magazine and offers the Brew Guru® mobile app. The AHA is part of the Brewers Association (BA), whose independent craft brewer seal is a widely adopted symbol that differentiates beers by small and independent craft brewers. The BA’s Brewers Publications™ division is the largest publisher of contemporary and relevant brewing literature for today’s craft brewers and homebrewers.